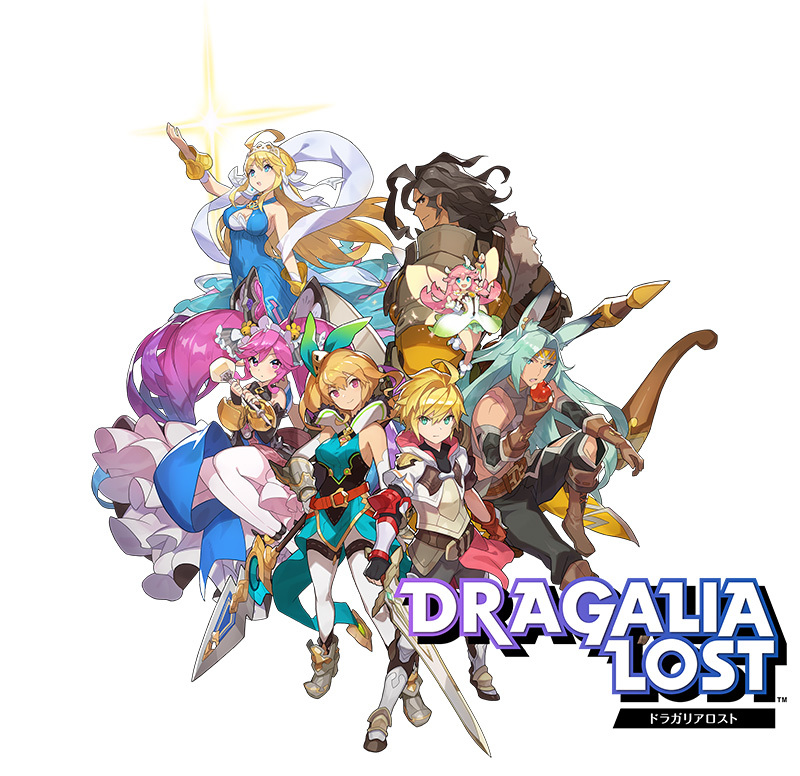 Nintendo this week revealed a new smartphone game coming to iOS and Android devices this summer, called "Dragalia Lost." The game was created through a partnership with Japanese mobile developer Cygames and is described as an all-new "original action RPG" for smartphones. Nintendo co-developed Dragalia Lost and will "jointly operate" the app with Cygames once it launches (via TouchArcade). For now, not much is known about the game's story or gameplay mechanics. The Japanese website includes a trailer, which shows off a few of the game's characters and glimpses of the RPG gameplay. The game is also up for pre-registration for users in Japan, Taiwan, Hong Kong, and Macau. The payment structure of the game is also unknown, but previous apps by Cygames have been reliant upon Japan's popular "gacha" system, which encourages players to spend real money on in-game currency that they can use to unlock random items. In terms of payment, most of Nintendo's other smartphone games so far have been reliant upon a free-to-play system, which helped turn Fire Emblem Heroes into Nintendo's "most successful mobile game to date." Nintendo's new partnership with Cygames confirms a previous rumor that the company is seeking additional game developers to add to its slate after its partnership with DeNA fell behind schedule. DeNA helped Nintendo launch Miitomo, Super Mario Run, Fire Emblem Heroes, and Animal Crossing: Pocket Camp. The next smartphone game inspired by a Nintendo property will be Mario Kart Tour, expected to launch by March 2019. Draglia Lost will launch first in Japan, Taiwan, Hong Kong, and Macau this summer, and then afterwards debut in North America and Europe. Nintendo also noted that it has obtained an approximate 5 percent stake in Cygames "for the purpose of facilitating the partnership." That's quite the generic-looking JRPG. Not that expected from Nintendo. Could be good? I’m gutted they’re shutting down Miitomo as out of all the social media’s I really enjoyed spending time in that one..... guess these things happen. Recently I picked up a Nintendo Switch and having been an on again off again gamer over the past 30 years I gotta say it’s the best device I’ve ever used for games! It’s just so flexible playing it on a TV or a stand on a desk or handheld like an old Gameboy or Advance or PSP. And the games! Don’t get me started! In all my years I have never played a game as near perfect as Breath of the Wild..... the latest Zelda romp! I bet it’ll be the usual high gloss presentation with SNES graphics for gameplay which people seem to love?? DS graphics. In fact it looks almost identical to Square Enix’s “RPG Factory” ports of Final Fantasy 3 and 4 for the DS..... now I’m curious about the development behind it because it really does look like those games and if Nintendo have offloaded dev duties to the RPG Factory team. All I want is an MFi GameCube controller and a perfect 4K port of Paper Mario The Thousand Year Door to run at 60fps on my iPhone X. Is this too hard to ask, Nintendo? I hope it’s developed native for iOS and not a port from android. It seems more and more games don’t use the capabilities iOS soft- and hardware has to offer. A worrisome development and Apple should notice. It’s as generic as it gets. I love RPGs, but I find nothing original or appealing about this game at all. At least based on the trailer. The music, the characters and the gameplay all seem cookie cutter. Who wants to bet that it will be plagued with IAPs and gimmicky gatcha features? No thanks. I wish we could see more innovative games like Chrono Trigger. Interesting that the video briefly included a QR code at the bottom. How are they planning on showing this video? Do they really expect people to notice it, pull out their phone fast enough, and scan it? Or do they expect people to watch it on a computer where they can pause it, in which case why not just use a link? And they were debating whether to get the iPhone X or not due to the price. I asked them how much did they spend on IAP per month? Small numbers can add up. That’s natural human mindset - feel less stressed when not paying $10k buying IAP, but need to make thorough decision buying a $1.2k iPhone.